This is a 14k. 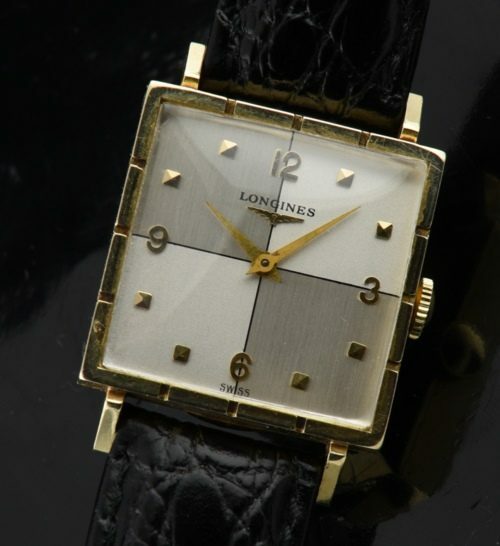 solid gold LONGINES 1949 watch measuring 26x26mm., with the dial being a very eye-catching bowtie, two-tone style. The 14k. solid gold case displays fine condition. The manual winding LONGINES movement was just cleaned and is accurate. This is a great looking solid gold watch that is perfect for a man or woman.